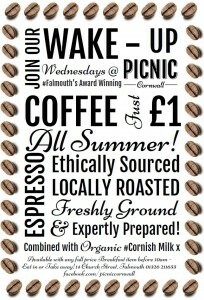 Picnic Cornwall will be serving customers Coffees for just £1 on Wednesday mornings from now – and all summer! Coffees will be served for £1 eat in or take away with any full price item from the Coffee Shop & Deli’s Breakfast Menu – from pastries, to smoked salmon and scrambled eggs! 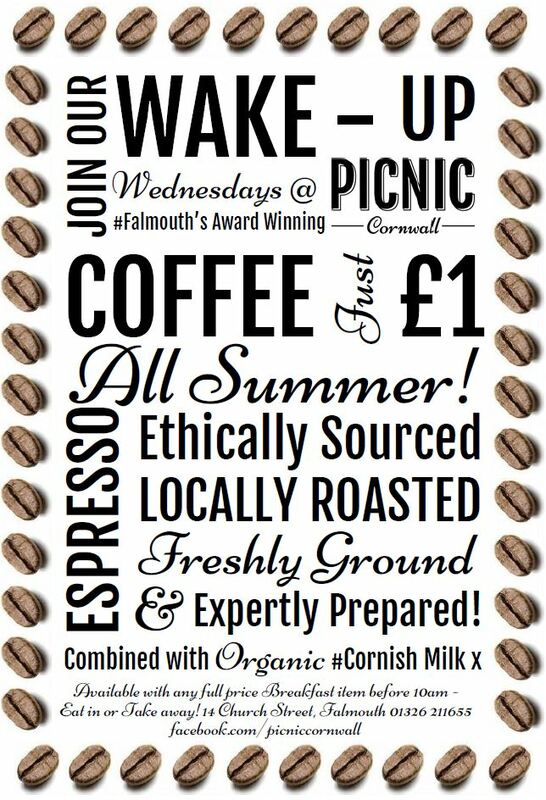 Picnic Cornwall freshly grind their locally roasted espresso for every cup – and combine it with Cornish Organic milk for the perfect coffee.